Welcome to our first Fandom Spotlight article! This series is part of our IndieGoGo campaign to bring you better coverage at San Diego Comic-Con. The first person to claim a Fandom Spotlight did so anonymously, and asked that we put the Spotlight on the SPN Anti-Bullying project. As we’re huge supporters of the account and frequently give them a Follow Friday on Twitter, we were very happy to do so! We reached out to SPN Anti-Bullying and chatted with them about how they started, what their goals are, and how you can help with their mission. Geekiary contributor Emily Rose is the founder and a moderator of SPN Anti-Bullying, and was surprised and honored that an anonymous contributor chose to bring attention to the campaign. unner, stars and crew easily accessible, responsive, and incredibly fandom-positive. Fan interactions aside, it’s the story that takes center stage every week. “Black Eyes Blue” was a testament to how far the characters of Dominion have come in six short episodes, completely putting to rest my fears that the people would be overshadowed by the tome of mythology that Dominion has to draw upon. Each character’s motivations and secrets are coming into play, revealing central conflicts which draw more from human experience than the “Heaven got pissed at Earth and declared war” story that began in the movie Legion and carried over into Dominion. While Legion relied heavily on CGI, body horror and effects, it’s not necessarily Dominion’s signature winged higher angels or ‘Eight Ball’ wall-crawling lower angels that are the true monsters. Dominion offers a very human conflict, wrapped in an appealing package with themes that resonate with viewers. The ensemble cast portrays them to meet a range of human frailty and strength. In many ways, this is a show about the destruction and reconstruction of family. From Claire’s heart-breaking final scene with Clementine, to William’s rib-breaking scene with David, “Black Eyes Blue” pointed the spotlight directly at the divide between generations. Read More on The Geekiary! 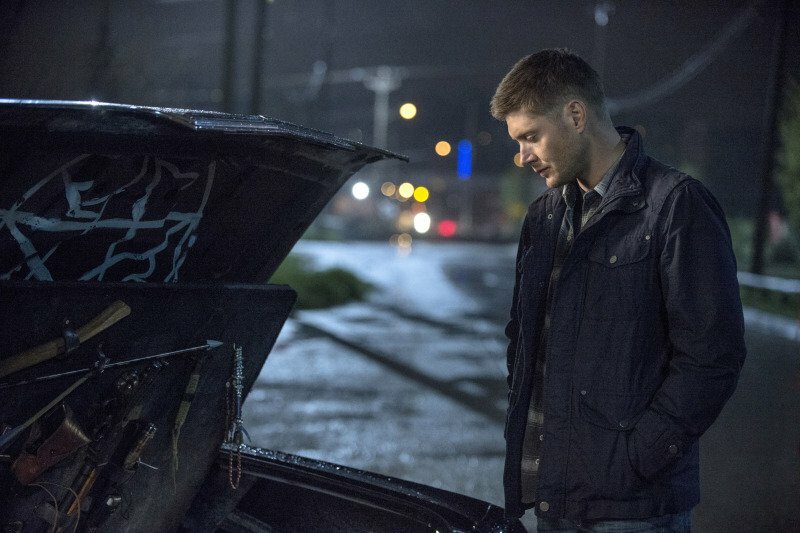 This Supernatural pre-finale roundtable features Geekiary administer Angel, frequent contributor Emily, and special guest blogger Dot (blog). We dive into some of the questions regarding themes from the seasons, thoughts about the finale, and what we hope to see in season 10. Popping back up at the Geekiary for this round-table discussion of what we expect for the end of Season 9, what we hope for in Season 10, and the relationships and characters of Season 9! I’m a little critical again, just as forewarning to my readers, but it doesn’t mean I love the show any less. All the love for Angel and Dot, as well, who I absolutely adore debating with on Twitter and Tumblr and podcasts alike!